Aspirin is one of the most prescribed drugs by physicians since it was synthesized in 1890. Aspirin is used in a wide variety of situations due to its broad pharmacological properties. 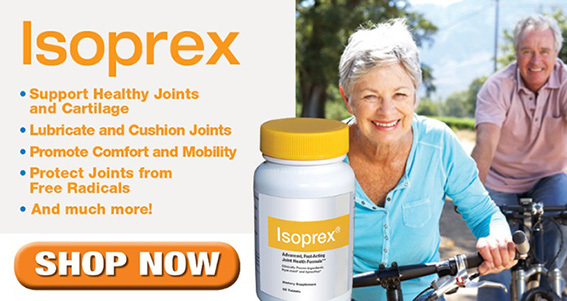 This drug is an anti-inflammatory; therefore it helps relieve the symptoms of arthritis. Due to its antiplatelet properties (prevents the formation of thrombi) it is administered in patients who have suffered a heart attack, stroke, or after undergoing cardiovascular surgeries such as stent placement or catheterization. Aspirin also works as an analgesic and antipyretic, and some studies have linked the use of aspirin with a lower chance of developing colon cancer. However, despite its numerous qualities, recent clinical trials such as ARRIVE, ASCEND, and ASPREE suggest that the consumption of aspirin could have important adverse effects. The trials mentioned above evaluated the administration of aspirin at low doses (100mg per day) in patients without known cardiovascular disease, with the aim of determining whether the daily intake of aspirin provides any benefit in the prevention of cardiovascular diseases. The ARRIVE trial concluded that the daily administration of aspirin did not provide any benefit in the prevention of cardiovascular diseases. However, it led to an increased risk of stroke. In the ASPREE trial, aspirin was administered daily to patients over 70 years of age for 5 years. The study showed that aspirin does not prolong the life of patients compared to placebo; on the contrary, it increases the risk of death from cancer. In the ASCEND study, it was observed that aspirin decreased the rate of ischemic cerebrovascular events in patients with diabetes, however, the incidence of bleeding increased. It is clear that the indiscriminate use of aspirin can lead to a wide variety of adverse effects. However, we should not demonize this drug, which can be very useful when used correctly. Below are some tips, based on recognized scientific studies, about who should take aspirin and who should not. If you had a heart attack or had cardiovascular surgery such as stenting, daily aspirin use will help prevent a new heart attack. If you are over 70 years old and do not suffer from any cardiovascular disease, do not consume aspirin on a daily basis since consuming this drug preventively does not prolong your life expectancy. If you have diabetes mellitus but have not suffered from an ischemic event (heart attack or ischemic stroke), taking aspirin will increase the risk of bleeding. Aspirin should not be administered to children. In the 70s, a presentation of aspirin for children was commercialized, which caused a rare but deadly disease called Reye's syndrome. If you have had cardiovascular surgery, your doctor may advise you to use aspirin in combination with an anticoagulant such as Plavix, to prevent an ischemic event. Non-steroidal anti-inflammatories such as ibuprofen, interfere with the effects of aspirin, To avoid this situation, take your aspirin at least 30 minutes before taking an NSAID, or take your aspirin at least six hours after taking an NSAID. It is important to emphasize that the adverse effects of aspirin mentioned above occur with the daily and prolonged use of the drug, aspirin is entirely safe for adults in the treatment of fever or other ailments.